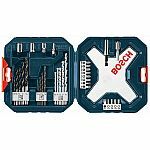 Lowes has Bosch 34-Pack Screwdriver Bit for $5.93. Free in-store pickup. it is 6.92 not 5.